The actual technology behind LIDAR guns is sound, however. 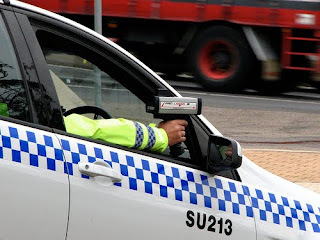 To track a vehicle's speed, the gun sends out a laser beam traveling very close to 3x10^8 meters/second (it slows down slightly when traveling through air). Sending a 200 Hz pulse, the gun measures how long the light takes to hit the target and reflect back to the gun. Using the known speed of the beam and the time it takes to reflect back, the gun calculates how far away the target is. With several distance measurements over a short period of time, the gun can determine how fast a vehicle's moving. 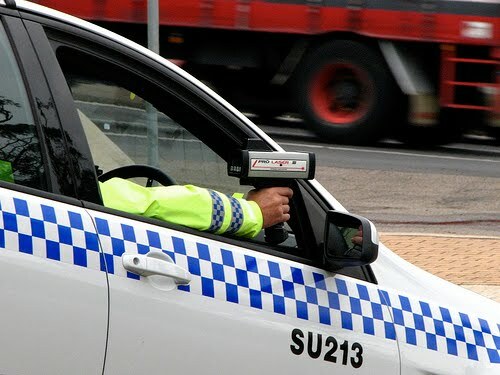 In contrast to traditional RADAR guns, LIDAR systems have a more narrow beam for more precisely tracking individual vehicles. At a distance of 1,000 feet, the beam is only 3 feet wide. So why do experts and angry motorists claim the technology is flawed? The answer may lie in the hand of the LIDAR gun holder. Dr. Michael Clark, a laser expert based in the U.K., told the Daily Mail that there's a number of operator errors that may lead to erroneous measurements. While officers are trained to target the front of a car—specifically the more reflective license plate—beams may reflect off of other surfaces if the target isn't locked onto. Also, shaky hands may cause the beam to temporarily track a different object, leading to an inaccurate reading. This technology might be the bane of many commuters, but at least one man has ostensibly tried to use physics to avoid red light tickets. If you're traveling fast enough, red light emitted from a traffic light will actually appear green to you due to the Doppler Effect. The catch? You'd have to be going about 155,000,000 miles per hour. At that speed, however, it's unlikely that those LIDAR guns could track you even in the most skilled hands. To see what U.S. courts have had to say about LIDAR guns, take a look at this judicial notice from Boulder Municipal Court that summarizes some key cases. Hey Great post. Really a very nice piece of information. Newbie’s like me get a good idea about this airsoft guns.I'm going to comment now the airsoft guns. I think i did it. Thank you..